Fact: We have succeeded in getting more people into the most prestigious graduate and Ivy league MBA schools around the world than any other company in Nigeria and West Africa. Why not you? The TRACTRAIN expert GMAT self-study/online syllabus contains thirteen study sessions and an introductory session. 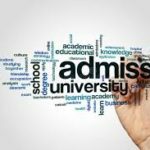 Of course, all the useful tricks and shortcuts that can help you deduce the correct answer or save time are also included in our GMAT syllabus, but the emphasis is made on the theoretical GMAT prep material and practice questions, because no set of strategies and tricks ensures high GMAT score if you do not know the material tested on the GMAT. 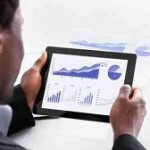 Learn GMAT on all devices, anytime, anywhere. Thinking Canada, top graduate schools, Ivy league MBA or career in a multinational firm? 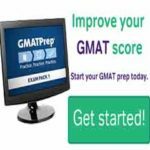 Now you have a great online GMAT service to complement your prep and ensure success in the GMAT test. It is unbelievably affordable, accessible via the internet; works on your tablet, pc, mac or smart phone any day and anytime. Guaranteed higher GMAT scores in days. Exclusive study materials and video on demand used by successful test takers is now at your fingertips. Access unlimited practice pool of questions to ensure that you hit a top GMAT score. Higher GMAT Score Guaranteed. Learn from the basic level to the advanced GMAT theory. Simply incredible. The adaptive technology (advanced diagnostic software algorithms) that drives the GMAT-prep-on-demand online service (akin to the one used on the actual GMAT) customizes itself to your aptitude and create your own learning path. When combined with our live prep sessions, you are guaranteed a higher GMAT score. Track your progress. 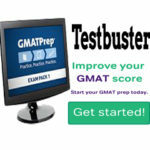 Improve GMAT preparation faster. employed by successful GMAT test takers applicants. Get unlimited practice and detailed GMAT explanations. The Tractrain GMAT-prep-on-demand analytic tools detect precisely areas where you are weak and focuses your practice on those areas. Saving valuable time and ensuring significant GMAT score increases. Focus your practice where they really count. The Tractrain’s GMAT prep-on-demand personalised dashboard gives you an up-to-date window into to your GMAT prep status. It’s now easier than ever to monitor your progress and remain on track with your personalized study plan. Now you know how far you are from your goal-accurately. Your personalized GMAT study plan on the go. Thinking of Canada Scholarship Access? No degree or diploma needed from you to be eligible for this scholarship. Now available to all graduates and corpers. It’s a partial scholarship, merit based and FREE. Open only to TRACTRAIN careers members and GMAT online prep on demand *subscribers. Call us now. All Canadian graduate schools, LBS(Nigeria), Columbia, Warwick (UK), Lancaster, LBS (London), INSEAD, Kellogg. 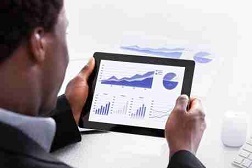 -Efe Erhabor GMAT Score: 720, B-school: Cranfield Business School. Click here for GMAT online self study pricing.